Replace a cracked or broken leather watch band. As a leather watch band is exposed to heat, moisture and other environmental factors, it can become brittle and may even crack or break all together. Many inexpensive leather watch bands are also glued together, and this glue can begin to come apart. A leather watch band that becomes unglued can be repaired at home. A leather watch band that is severely cracked or falling apart should be replaced, which can also be done at home. Examine the watch band. If it is stitched and coming apart, the band should be replaced. If it is glued and the glue has separated, continue to Step 2. Place a thin line of super glue on one side of the parted watch band. Avoid overusing the glue as it could seep out and cover your fingers. Pinch the two halves together and hold for five minutes. This will give the glue time to bond. Allow the glue to dry and set for 30 minutes before wearing the watch. Locate a new watch band. Take the watch to a department store and ask the associate to find a suitable replacement. If you can't take the watch with you, measure the length of the band and the width at the spot where it attaches to the watch's face and buy a similarly sized band. 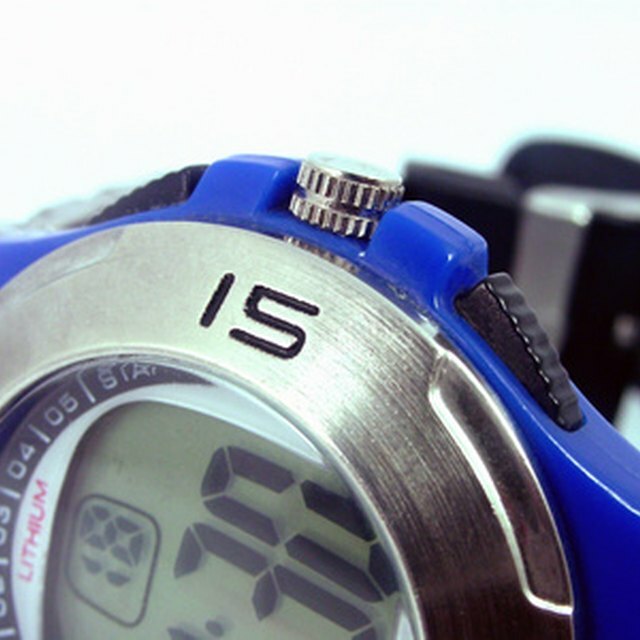 Set the watch upside down on a soft cloth or towel. This will help prevent any scratches on the watch's glass face. Find the spring bar on the watch. It will be located between the watch band and the main body of the watch itself. Place the end of a mini spring bar tool onto one of the ends of the spring bar. Push down on the tool to release the spring bar from the watch head. Pull out the spring bar and set it aside. Discard the old watch strap. Place the spring bar into the the end of the replacement watch band. Position the watch band between the two lug bolts of the main watch body. Use the forked mini spring bar tool to push the spring in. Remove pressure from the mini spring bar tool to release the spring bar. Pull on the watch band gently to ensure that the spring bar is in place. How do I Unclasp a Ebel Wave Watch Band?